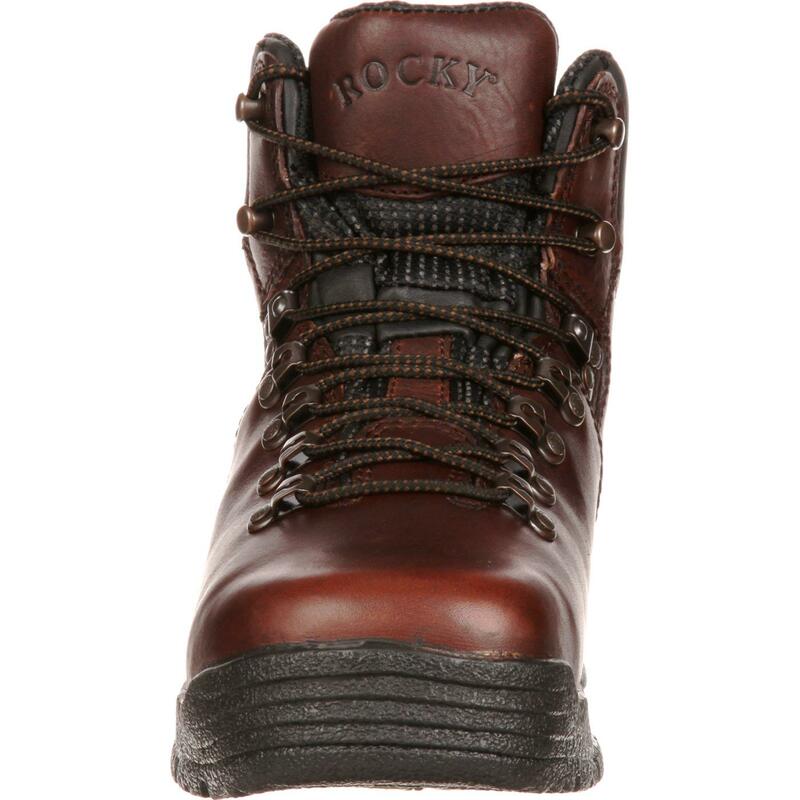 Rocky® MobiLite Waterproof Work Boots are comfortable, durable and keep your feet dry. 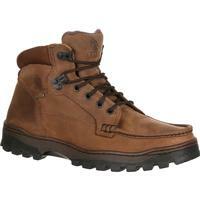 Your feet remain dry regardless of how damp the settings are or the varying weather conditions because the footwear has Rocky waterproof construction. 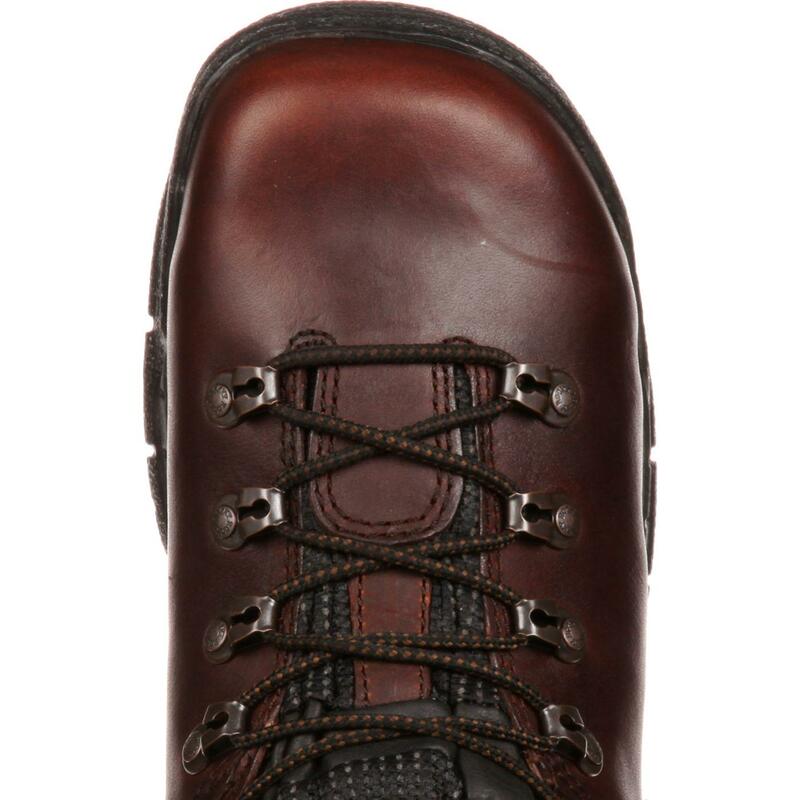 Underneath your feet, the polyurethane footbed is the source of cushioning and support. 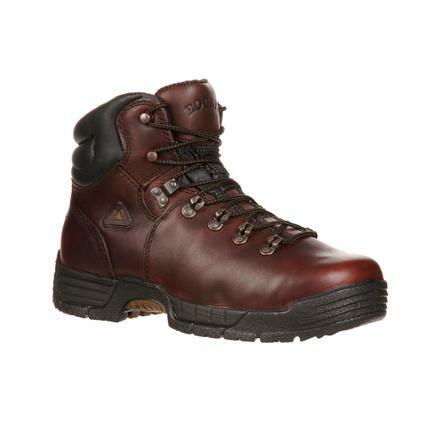 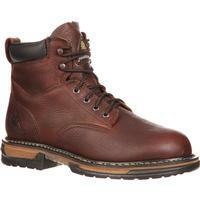 The men's work boots have a smooth leather upper and a wide oblique toe box design. 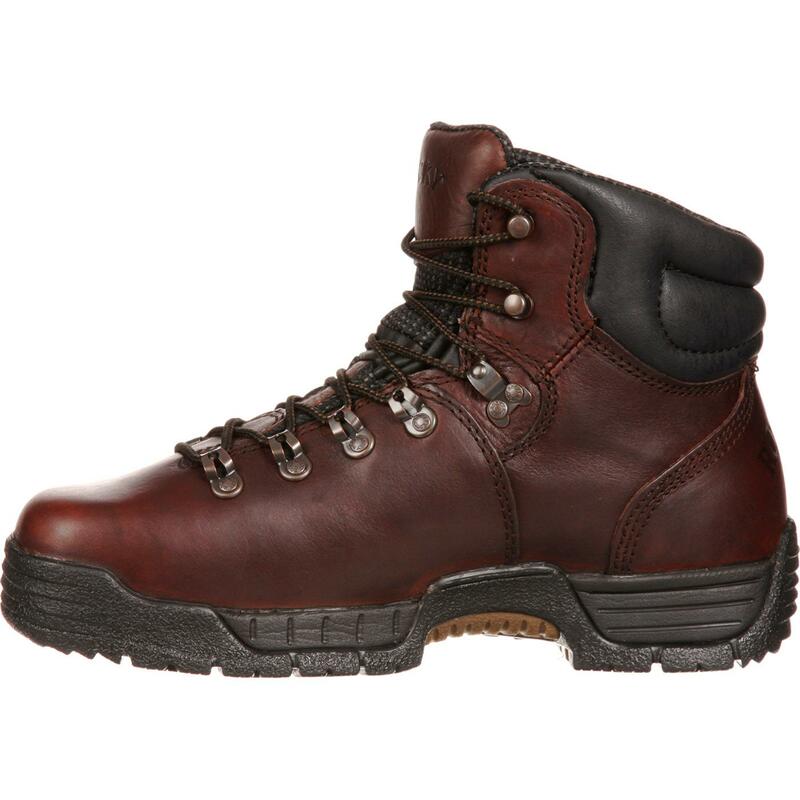 The heel counter stabilizes your heel within the boots; with this, you won't have to worry about your heel constantly sliding as you walk. 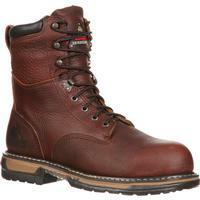 The padded collar provides additional comfort. 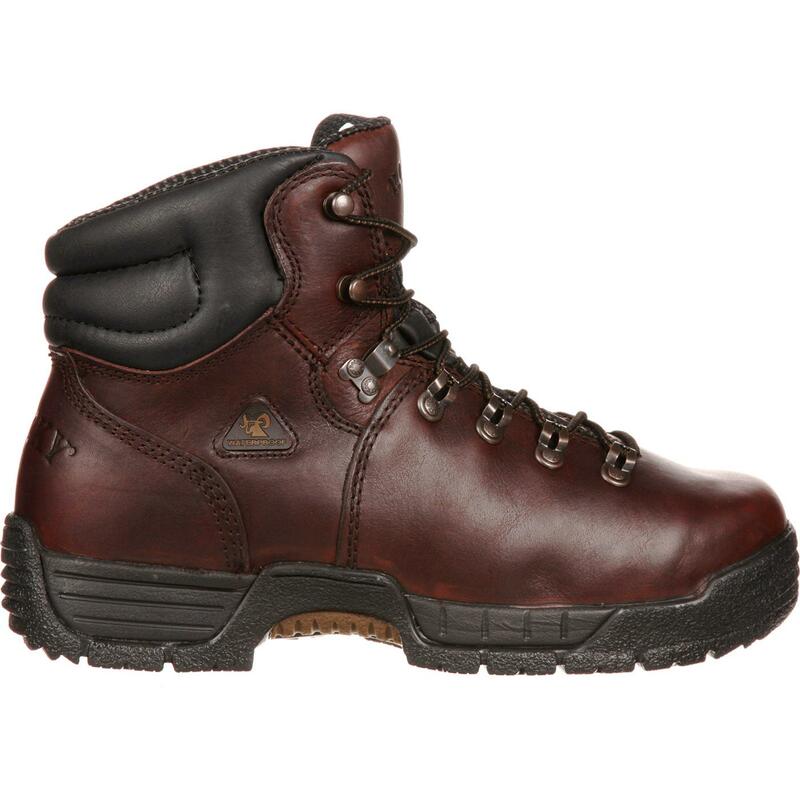 The EVA midsole of the waterproof boots is comfortable, distributing the weight that you press down and providing additional cushioning. 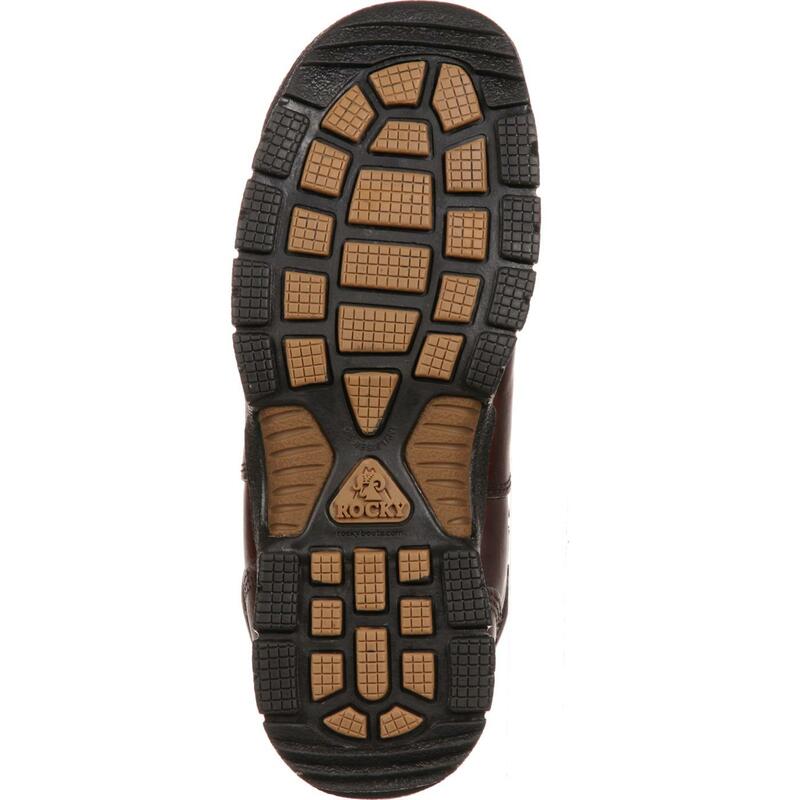 On the bottom, the MobiLite outsole is lightweight, durable and comfortable for standing all day. 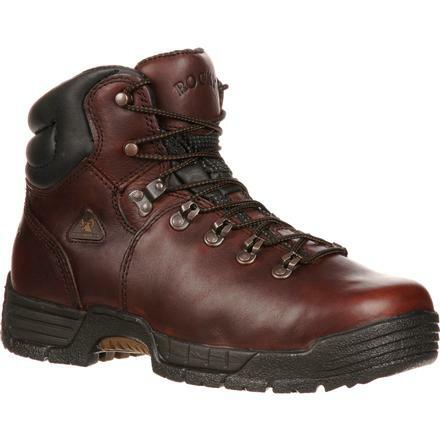 It's also oil-resistant and slip-resistant. 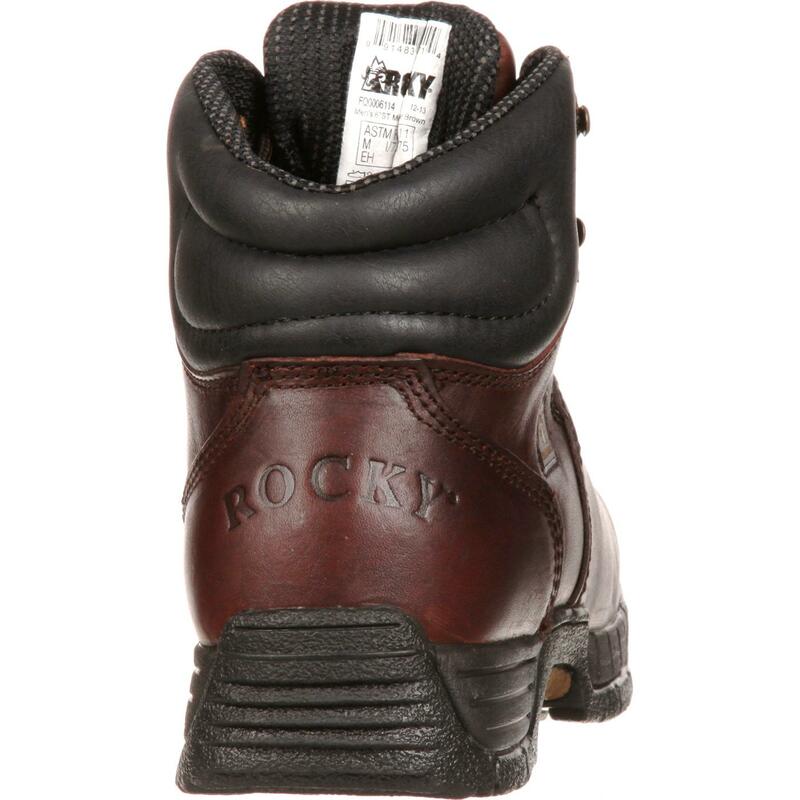 These Rocky MobiLite comfortable work boots are waterproof, durable and lightweight. So, if you need new work footwear, these men's boots are a great choice for you!